Easter offers an odd dichotomy for Christians: horrible pain and transcendent celebration, overbearing weight and jubilant joy , total depravity and complete grace. The Bible, as the divinely inspired Word of God, provides the most important perspective and account of Jesus’ murder. Each of the Gospels in the Bible offer an account of Jesus’ crucifixion: Matthew 27, Mark 15, John 19, Luke 23. 28 After this, Jesus, knowing that all was now finished, said ( to fulfill the Scripture), “I thirst.” 29 A jar full of sour wine stood there, so they put a sponge full of the sour wine on a hyssop branch and held it to his mouth. 30 When Jesus had received the sour wine, he said, “It is finished,” and he bowed his head and gave up his spirit. Below is an interesting and compelling video from a trauma surgeon on the medical perspectives on and implications of crucifixion. There are a few historical inaccuracies in the depiction of Jesus’ murder in the movie “The Passion”. 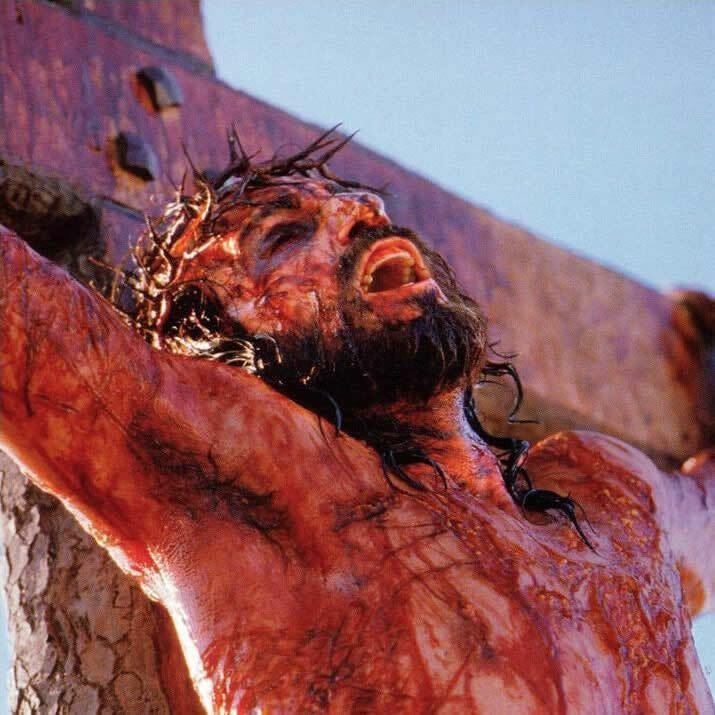 Nonetheless, it lucidly depicts the inhumane and savage crucifixion Jesus endured for you and me. This brings me to violent tears and makes me want to vomit. The sermon below from Mark Driscoll at Mars Hill Church in Seattle provides cultural, social, historical and scriptural perspectives and details on the crucifixion.